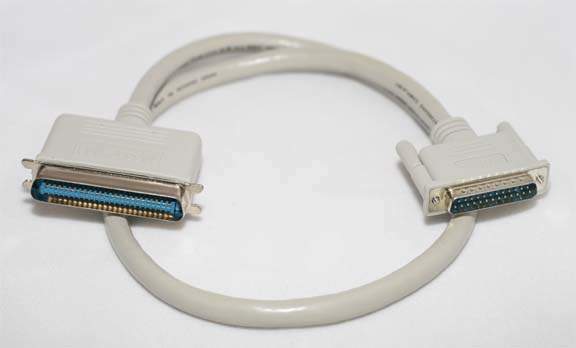 2.5' FT. Cable Male-DB25 to SCSI-I Centronics 50 Connector. Used to connect external SCSI Devices. This Double Sheilded Cable is made of the Highest Quality Material. We purchased these in a Dot Com Liquidation sale for a Song. Really nice Quality at an incredible price.